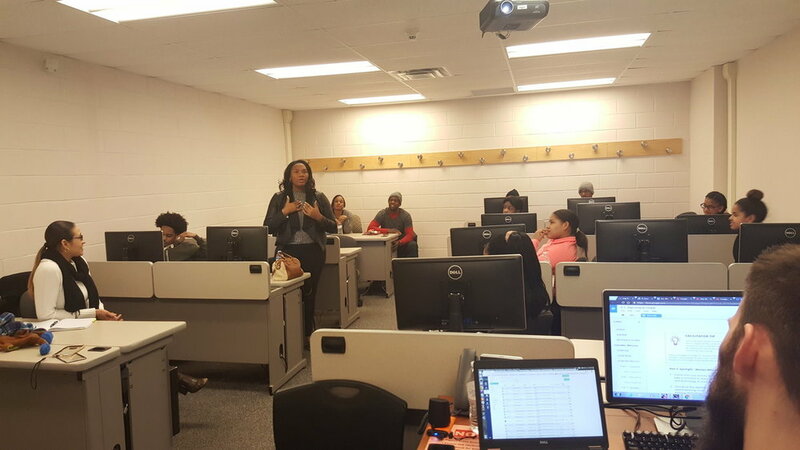 BGCM partnered with Girls Who Code to provide education about computer science and coding to young women. Prepare your child for the high-tech future today! BGCM has partnered with Girls Who Code, a national non-profit organization that aims to provide computer science education and exposure to 1 million young women by 2020. Programs work to inspire, educate, and equip girls with the computing skills to pursue 21st century opportunities. Together with leading educators, engineers, and entrepreneurs, Girls Who Code has developed a new model for computer science education, pairing intensive instruction in robotics, web design, and mobile development with high-touch mentorship and exposure led by the industry’s top female engineers and entrepreneurs. 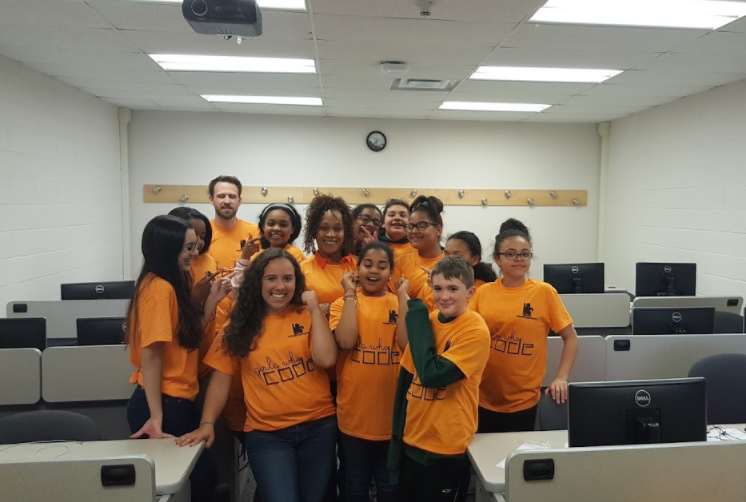 Since beginning in 2012, Girls Who Code to date has served over 3,860 girls in 29 states. The computer science education will be open to boys, but focused on girls. Classes will be held during after school hours, will be FREE to all participants grades 6-12, and held from September 2019 – May 2020. Students may learn one or more of the following languages: Scratch, Python, HTML, CSS, Java Script, and C for Robotics. *See registration forms for details regarding deposit. 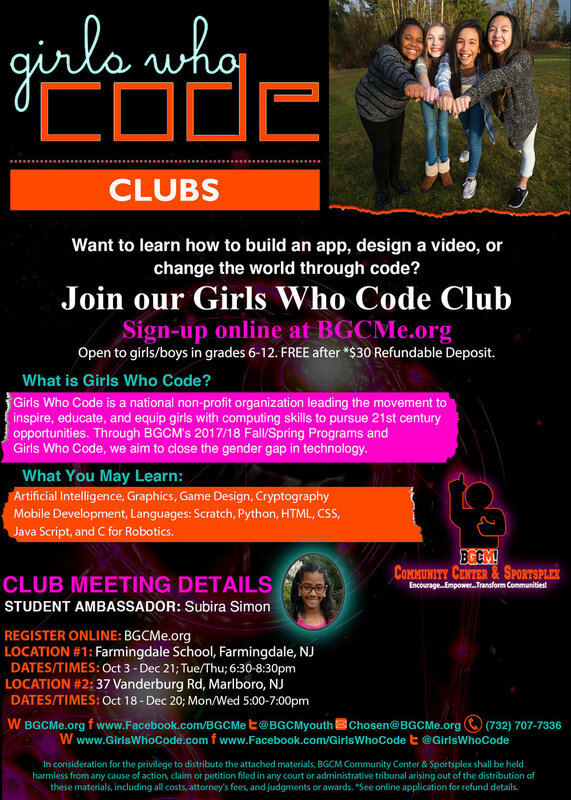 "Girls Who Code is a program that my daughter wanted to attend as soon as she heard about it last summer. She learned how to code and build her own website and she enjoys every minute of it... This experience helped shape her future and encouraged her interest in a STEM career." "Growing up, I didn't have the same opportunities that my son has had growing up... Jobs are very competitive today but if you are computer savvy, you are at an advantage than others who are not. This new generation of children are exposed to it at school and home. They say money makes the world go round but I believe it is technology. 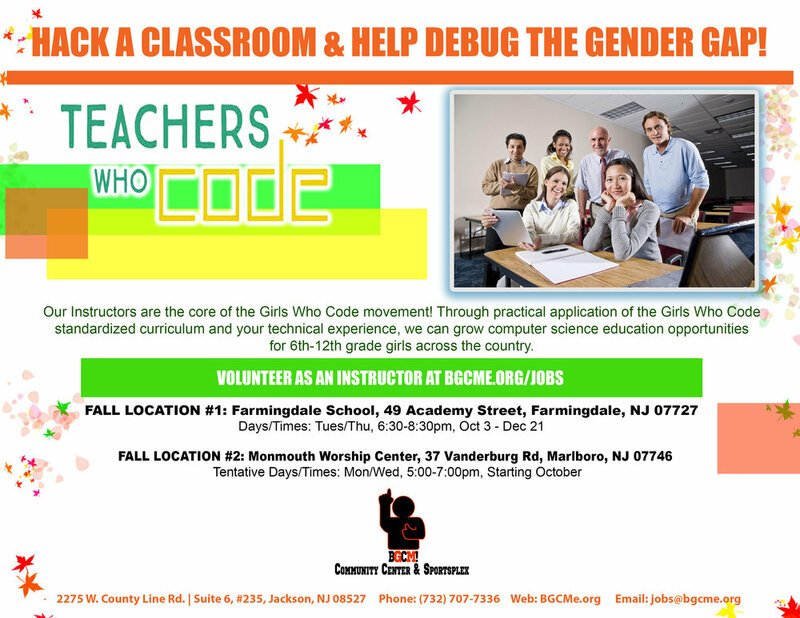 GWC nurtures and embraces technology and gives girls and boys the opportunity to harness and sharpen that skill." "I joined GWC (Girls Who Code) to learn more about coding and just to have fun in general. We made a website and pool game. I hope to be able to teach others about coding. There are so many wonderful people here at class that adore each other. Thanks to my friend Kayle for inviting me, my grandma, and Mr. and Mrs. Simon, who run GWC, for giving me this opportunity! Thank you BGCM for providing this program for us girls and guys!" "I am from an urban city and decided to join because I found Computer Science interesting and wanted it to be my career. I created a website that has random, entertaining elements. Huge thanks to my mother, for mentioning this class. Mr. Cody for teaching my peers and me and BGCM, they made this class possible for young girls." "I am in 7th grade and from an urban area. I attended the Girls Who Code class because I went to their summer camp and both GWC class and camp were very fun and educational. Thank you Mom for giving me the opportunity for doing this is my mom and thanks Mr. and Mrs. Simon." "I am in 6th grade and heard about this club from my mom. I learned how to make a web site and how to make basic games, like pool. I am thankful that my mom told me about this program and to BGCM." "I joined GWC after accepting an invitation from the owner of the camp I attended last summer; Ms. Simon. I learned to code and worked on a website using Notepad++, HTML, CSS, and Java Script. BGCM provides everything I need to succeed in coding and it feels like a new door of opportunity opening right in front of me. I’m so grateful for Mr. & Mrs. Simon, and Mr. Cody for providing these coding classes, as well as dinner each night from Chipotle, De Alliso's Bagel Express, and La Rosa Chicken Grill. Thanks to the Simons and staff for turning STEM into one of the subjects that I actually look forward to. I can't wait to come back again." "I am a junior in high school attending this amazing program. I come from a good neighborhood in a suburban area. I joined this club to experience and learn new things. We have learned many different techniques in coding and bring our creativity to life. The GWC club is very educational and fun and take very good care of students. They provide free food every class; we meet new wonderful people and are taught by amazing teachers." "I joined GWC (Girls Who Code) to learn more about coding and just to have fun in general. My mum drives me to my classes everyday and I haven’t missed one yet. Recently we have started making a website and pool game. My website features information about bands that I listen to. It’s not yet finished, but it’s getting there. There are so many wonderful people here that adore each other. By the end of class, I hope to be able to teach others about coding. I’d like to thank my mum for signing me up for these classes and driving me here everyday no matter how sick or tired we are. Thank you BGCM for providing this program for us girls and guys!" of Club participants say they are considering a major or minor in Computer Science because of Girls Who Code. Contact us today for more information. Click Here to Apply.